Will this week be remembered as that time when the wealth management industry moved to the center of the modern Canadian financial services industry? Just a few weeks ago some were speculating that the bank would break with 100 years of industry tradition and go outside the organization for a new chief executive to replace the departing Gerald McCaughey. An Edward Jones analyst was quoted as saying, "The thought here was that it was going to come from outside." Others assumed the new CEO would be David Williamson, the head of CIBC's retail banking operation. Many considered him the most likely internal candidate for the job. But when the decision was handed down this week, the strategy map of the Canadian banking sector included a new direction---CIBC is going all in on wealth management as Victor Dodig, group head of the wealth management division at CIBC, is named the new CEO. For those in the wealth mamangemet industry, the direction is clear--one of the big six banks is doubling down on the modern wealth management industry as its new strategy. This makes perfect sense. Post-2008, capital requirements at banks tightened. Less profit has been generated through proprietary trading. The mortgage business seems bloated, M&A is moribund. In the wake of Dodd Frank people from other sectors of the financial services, are stepping into wealth management area as other lines of business atrophy. Wealth management is seen as steady, safe and stable. No big trades, or fancy and complex securities to trash a balance sheet with one big call. No need to manipulate interest rates. Steady streams of cash, strong demand among the broad swath of the industry. According to a recent article in American Banker, “Some bankers theorize that retirement services have strong growth potential because younger generations lack the security of defined-benefit pensions.” National bank, TD and RBC have made acquisitions in the wealth management area. 2012, RBC bought the Latin American, Caribbean and African private banking division of Royal Bank of Scotland Group. Now CIBC seems to be making wealth management the core of the bank’s strategy. “They are signaling where it is the bank is going. Obviously, it’s a fairly strong signal the bank is all in on wealth management. The direction is actually not that much of a surprise--consider recent acquisitions. Any excess cash at CIBC since 2011 has gone to wealth management acquisitions. Most recently CIBC bought up private wealth management firm, Atlantic Trust. There is a 41% investment in American Century. 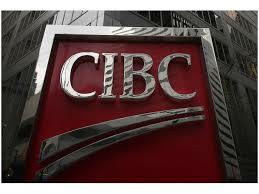 CIBC also picked up Canadian wealth management firm Mcclean Budden. And now the head of wealth management has been promoted to CEO. According to the analyst, Dodig is, as one analyst put it, "all wealth management, and all the time." Dodig's name will be familiar to many advisors. A Toronto native, he has a Harvard MBA, did stints at UBS Global Asset Management and Merrill Lynch. He came up through Wood Gundy before taking on the title of group head, wealth management. Dodig began his career working in CIBC's branch system as a customer service representative while attending university. Dodig is married with four children. Michael Wilson, a former finance minister, hired Dodig while at UBS's Canadian unit. A past recipient of Canada's Top 40 Under 40, he did his undergrad degree, at the University of Toronto (St. Michael's College). He sits on the board of St. Joseph's Hospital Foundation and the Soulpepper Theater Company, serves as the chair of the St. Michael's College and the University of Toronto Investment Committee.